Home > Archives > Santa Monica! Win Tickets to Henri-Georges Clouzot Double Feature Screening! Henri-Georges Clouzot Double Feature Ticket Giveaway! 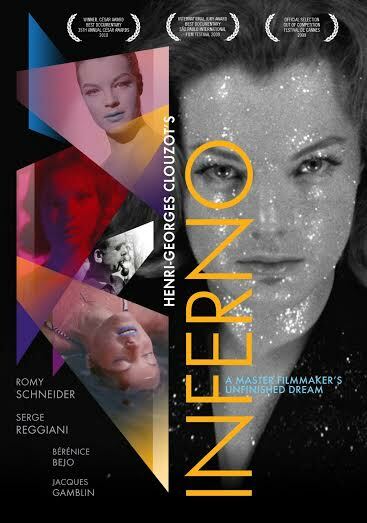 Three lucky winners will each receive a pair of tickets to the 35mm double feature of Henri-Georges Clouzot's Inferno (2009) and The Truth (La Vérité, 1960) at the Aero Theatre in Santa Monica, CA on Friday, July 15 at 7:30 p.m.! Read the New York Times review! | Watch the trailer! | Buy on Blu-ray/DVD! | Rent in Streaming HD! Tickets are available at the box office or online at Fandango here. For more information on the screening, please visit the American Cinematheque web site. Subscribe to the Flicker Alley newsletter below for your chance to win a pair of tickets! Remember to share your custom referral link for a chance to gain additional entries! See Official Rules for details. Giveaway ends Tuesday, July 12, 2016 at 11:59 p.m. PST. Winners will be notified by e-mail on Wednesday, July 13. One entry per person! Multiple entries will be deleted!